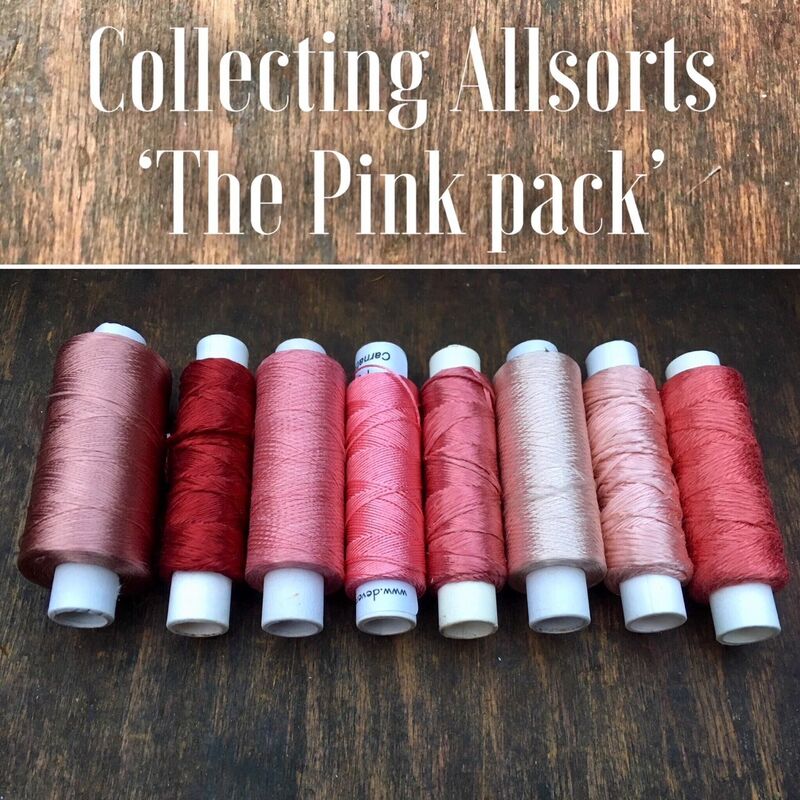 Just like chocolates and sweets where you can purchase the bags of all sorts that are slightly quirky in shape or colour but in reality taste exactly the same.... well have you ever wondered what happens to all of our quirky embroidery yarns and threads? The cops that don't meet our standard length or slightly over ran and are too long? That beautiful blue shade that's been wound onto a cop with the label Pink? The cops that are 6 thread in thickness but has been wound onto a cop with 72 thread thickness? Or just simple the ones that just look a bit quirky? Each colour pack contains a yarn value of no less than £15.00. Within these 9 categories, not one of these packs matches another, the cops will all be different lengths and different thread thicknesses. Each one includes a range of different yarn types that could be anything from Silk to Wool, to Cotton, to Viscose, to Spun Art Silk and even Metallic threads.